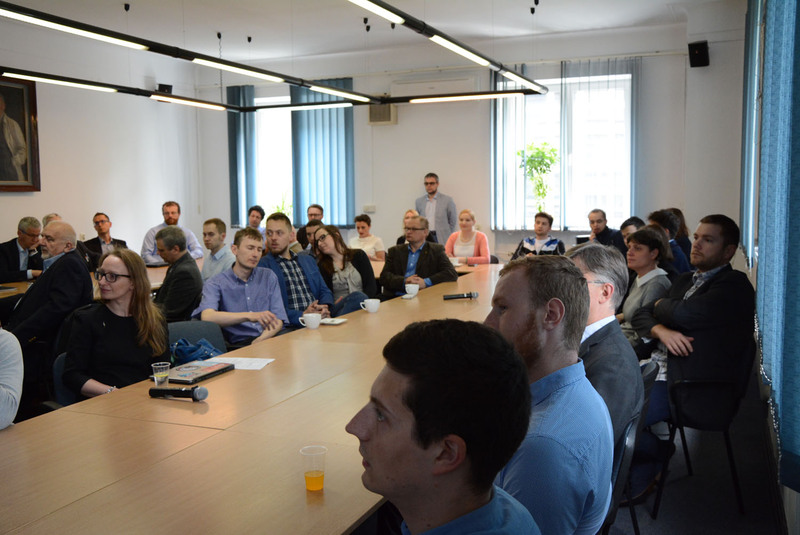 On May 11th representatives of Engineering Design Center and the Faculty of Power and Aeronautical Engineering (MEiL) of the Warsaw University of Technology met together on the seminar “From Science to Implementation” organized jointly by both institutions. The event took place at the Institute of Heat Engineering of the Warsaw University of Technology. 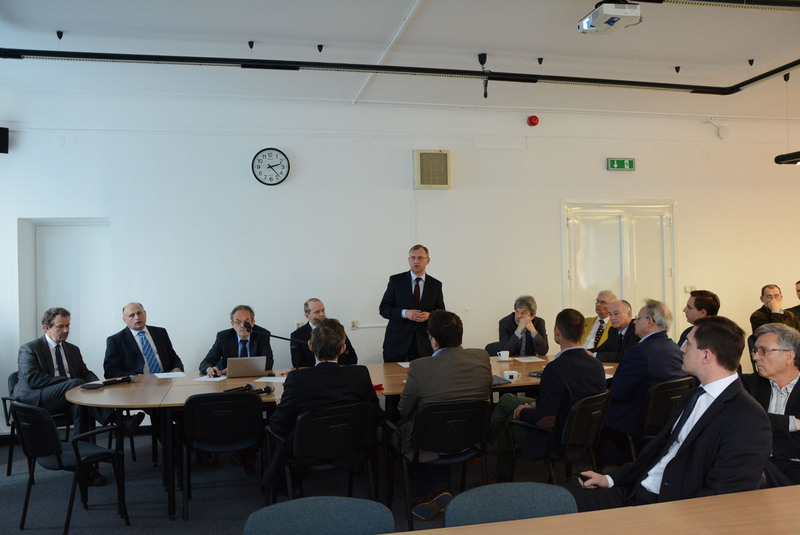 The seminar was opened by prof. Janusz Frączek (Dean of the Faculty of Power and Aeronautical Engineering), Marian Lubieniecki (Chairman of the Management Board of General Electric Company Polska Sp. z o.o.) and Paweł Stężycki (EDC Director at the Institute of Aviation). Among participants were EDC employees, MEiL researchers and representatives of students scientific groups, as well as GE Edison. The main subject of the event were modern technologies used in aircraft engines, avionics and power industry. Apart from presenting EDC’s and WUT’s research infrastructure, the attendants also shared key projects from the common scientific ground they’re currently working on, and the students presented the most important projects carried out in their scientific groups. The seminar’s aim was to tighten the cooperation in the area of projects, research and education between MEiL’s researchers and EDC engineers. Such collaboration should result in mutual benefits for both organizations – opportunities for using each other’s equipment, knowledge sharing, chance for students to find valuable internship and for graduates to have a rapid start into their professional careers. “We believe that this kind of cooperation will help us lift up our engineering competences crucial for realizing innovative projects in the future. Without highly skilled technical staff and clever solutions we can’t think of further development.” – says Jakub Kaczorowski, Advanced Manufacturing and Materials Manager at GE Oil & Gas in EDC.